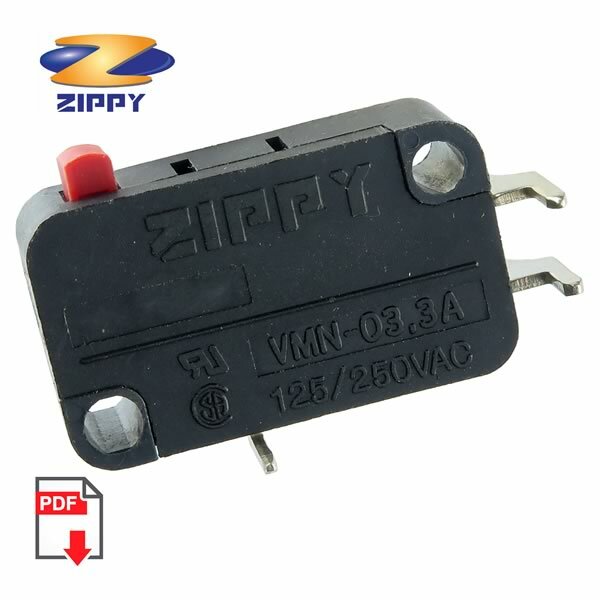 Zippy VMN-03 Snap Action SPST Switch is rated 3A 125/250VAC. Has 3 leads: Common, Normally Closed and Normally Open. Size is approximately 1.1" x 0.625" x 0.375" (excluding terminals and pushbutton). This switch is found in many joysticks and arcade games. Features heavy duty PCB terminal leads for through hole mounting.